That is unusual, but Father Sullivan’s life straddled two centuries, two traditions and two cultures. Father Sullivan later wrote of “a blessed childhood in a happy, loving home” although, at age 16, he suffered the loss of an older brother through drowning. In Trinity College Dublin, he excelled in his studies of the classics. He was an avid player of tennis and the card game whist and was dubbed “the best-dressed man in Dublin.” Society mothers viewed him as a major trophy in the matrimonial mart. In 1885, the year of his father’s death, Sullivan went to London to study law. He traveled extensively, and even considered becoming a monk at one of the Orthodox monasteries on Mount Athos in Greece. A shy, remote figure, he was nonetheless popular and known for his kindness. His search for God is fictionally recreated in Ethel Mannin’s book “Late Have I Loved Thee.” In 1895, he traveled as part of a British government delegation to investigate a massacre in Adana, Turkey. A year later, at 35, he became a Catholic. From the time of his ordination in 1907, reports of miraculous healings began. Cures for meningitis, St. Vitus Dance, breast cancer, tuberculosis, pernicious vomiting, infantile paralysis and many other illnesses were all attributed to his prayers during his lifetime. He willingly cycled long distances to spend hours praying at a patient’s bedside while working as a teacher in Clongowes Wood School in County Kildare, where the boys attributed his success more to his prayers than his teaching powers. 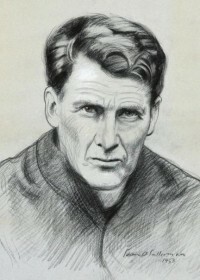 Jesuit Father Conor Harper, vice postulator of the Jesuit’s sainthood cause, said hundreds of miracles have been attributed to his intercession, many within living memory.